According to the polls, the Social Democratic Party of Antti Rinne (pictured) comes first ahead of the general elections of April 14 with a 19,5%. Finland’s coalition government headed by Juha Sipilä resigned on March 8 over the failure of its social, healthcare and regional government reform package. General elections will take place as planned on April 14. But this time, according to new opinion polls, no clear winner will emerge since not a single party will secure more than 20% of the vote. This is why the coming elections in Finland are expected to be unprecedented. On April 9, Helsingin Sanomat unveiled the results of its latest poll. It showed the Social Democrats of Antti Rinne with an advantage of 2% over the National Coalition Party (Kansallinen Kokoomus) of Petteri Orpo. According to the poll, the Social Democratic Party comes first with a 19.5%, followed by the EPP member Kokoomus with 17.5%. The far-right Finns Party comes third with a 15.0%. The party is recovering from the 2017 split that pushed it out of the coalition government. On Monday 8 April, the Finns, a member of the European Conservatives and Reforminsts (ECR) joined the far-right Group of Matteo Salvini. Jussi Halla-aho, now leader of the party and MEP, was found guilty by the Supreme Court in 2012 for disturbing religious worship and provoking ethnic agitation for his statements about Muhammad. Among other cases, in October 2013, an MP invited a neo-Nazi activist as his guest to the parliament and did not react when his guest made several Nazi salutes. Next is the second partner of the government the Centre Party (Suomen Keskusta) of Prime Minister Juha Sipilä with 14.4%. The Green League of Pekka Haavisto drops to 12%, but it is still in a better position than in 2015 (8.5%). According to recent polls the Left Alliance of Li Andersson is in a better position in comparison with the national elections of 2015 with 9,1%. The Swedish People’s Party headed by Anna-Maja Henriksson and the Christian Democrats of Sari Essayah have a 3.9% and 4.1% respectively. 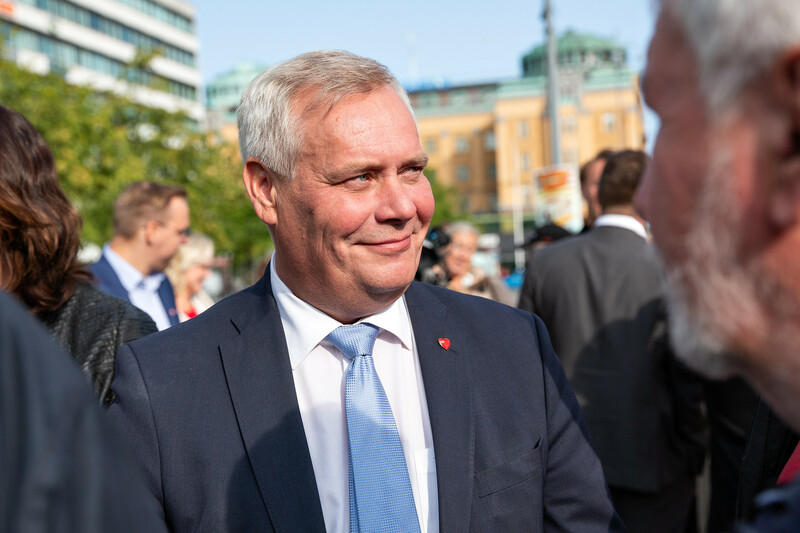 The third partner of the coalition government, the Blue Reform party (whose leader is Sampo Terho, Minister of European Affairs and a former MEP) faces electoral disaster as it has a 2% of preferences. Finland risks entering a long period of negotiations between the political parties since 101 seats is needed to form a majority. Sipilä was appointed Prime Minister in May 2015, while NCP leader Petteri Orpo became minister of interior and finance, and the president of Finns Party, Timo Soini, served as deputy PM from 2015 to 2017 and has been foreign affairs minister since 2015. Sipilä’s government had to fight against a deep economic crisis. As a result some major Finnish industries collapsed. The “recipe” applied to address the crisis, which included tough austerity policies, was unpopular. A goal the government set was to reduce wages by 5% by 2019. The government policies provoked mass protests and frictions inside the coalition parties. In the summer of 2017, the Finns Party split into two parties. The Blue Reform of Soini decided to remain in the government while the current Finns Party under the new leadership of the member of the European Parliament Jussi Halla-aho joined the opposition.